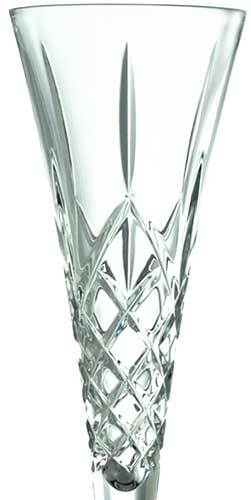 These Irish champagne flutes feature 24% leaded crystal that is cut in the Longford motif. The romance champagne glasses measure 10.4" tall by 2.8" wide at the base and 3" wide at the rim. The Longford champagne glasses are perfect as toasting flutes for any celebration including weddings. 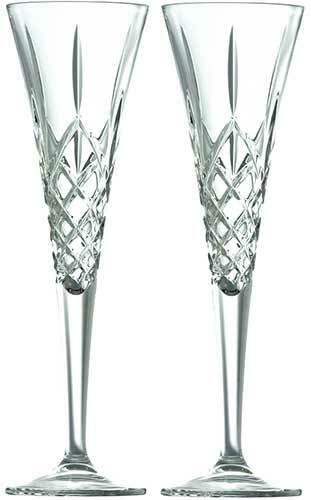 The Longford flutes are from Galway Crystal; they are gift boxed as pairs, complements of The Irish Gift House.